Facebook appears to be trying out some new features, including a ratings system for translations and prompts for page administrators to create ads. Translations on social media are definitely useful for understanding the information your friends are sharing, but sometimes they can be hilariously bad. 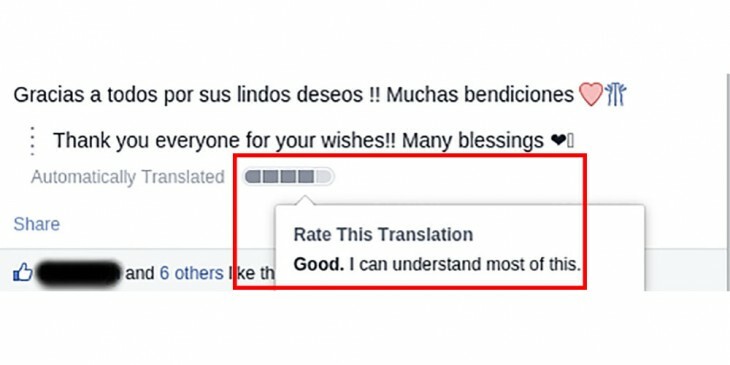 Facebook knows that, so the company is testing a rating system for translations. Reader @TopherBR spotted the new feature on his feed. In related news, Adweek noted the company is asking some page administrators to create advertisements when they use certain key words. One of its readers noticed the prompt while creating a post using the word “sconto” (Italian for discount). You might not see these features now as Facebook tends to run trials with a limited amount of users, but don’t be surprised if you see them pop up on your accounts sometime in the near future.